(By Cathy Leong) I have spent a lot of time over the past few years asking some of our contributors to write articles about why they support the Student Endowment Fund. Then it hit me that I had been asking them to do something I had never done myself. Since the Endowment Fund recently surpassed the $300,000 mark, I thought this would be an appropriate milestone to share my thoughts on the Endowment Fund. Similar to the author of our last EF Spotlight, Mark Spencer, I recently attained the level of “Visionary” contributor to the Student Endowment Fund. This was definitely not achieved at one time, but in increments over time. For me, the question is not only why I support the Endowment Fund, but also why I volunteer my time for ITE? When I was first appointed as the Chair of the Endowment Fund Committee in 2007, I had recently completed by duties as LAC Chair of the successful Annual Meeting in Hawaii, and was riding on that good-natured high of a job well done. The fund was at $40,000 when I was appointed and soon I came to realize how daunting the task of building the fund up to our $500k goal would be. ITE is filled with great people, and I was fortunate to have Jenny Grote, Michael Sanderson, and Julie Townsend join my committee, and soon thereafter we rolled up our sleeves and started on the long list of things we needed to get done…develop a website, send out emails, talk to everyone we did and didn’t know, hold events. We had to make sure everyone knew that the District had an Endowment Fund and what it was for. Within a short time our efforts were rewarded as our list of contributors grew along with the balance of the fund. With our successes came the satisfaction that we work working towards a worthwhile goal…but that’s not what has kept me motivated over the years. Why do I support ITE and the Endowment Fund? It’s the dozens of amazing students that I have been privileged to meet through my position as Chair of the Endowment Fund Committee and my connection with them each year at our Annual Meetings. Students like Reed Salan from Cal State Fullerton who I first met in Anchorage. His school did not have a student chapter yet, but he attended on his own and donated his award from the Kell Competition to the Endowment Fund. Since then, he’s worked hard to establish a student chapter at Cal State Fullerton and, last year in Santa Barbara, participated in the MiteY Race and volunteered at the EF Traffic Hero event. In Anchorage, I was also fortunate to meet Yegor Malinovskiy from the University of Washington, developer of the Traffic Hero game. I was so impressed with his game that we planned an Endowment Fund fundraising event for Santa Barbara the featuring his Traffic Hero game. Yegor and fellow student, Cathy Liu, showed up with their equipment in Santa Barbara and hosted an entertaining event. Watching them interact with our next generation of future college students was priceless. Although I could go on and on about the wonderful students I have met, I would like to mention one more that has moved on from a Student Member to a full fledged Member. I first met Kimberly Leung racing around the City of San Francisco as one half of a student team during the inaugural MiteY Race in 2010. 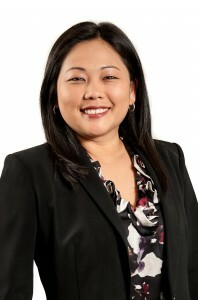 Since then, she has graduated from UC Berkeley with her Masters Degree and was recently elected as the Secretary of the San Francisco Bay Area Section. I had a chance to chat with her at this year’s Annual Meeting in Santa Barbara and she asked me how she could be more involved with ITE. It is committed and energetic students like Kimberly, Yegor, and Reed that motivate me to continue working for and supporting the Endowment Fund to ensure that students like these remain in our profession. Join me in supporting our students by making a contributing to the Student Endowment Fund through our online website or participating in one of our Endowment Fund fundraising events. The next event will be at the Annual Meeting in Phoenix, AZ where we will be hosting the next installment of the MiteY Race. I hope to see you all there!